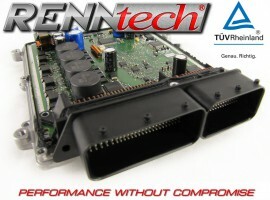 SKU: PKG.09.178.1010. 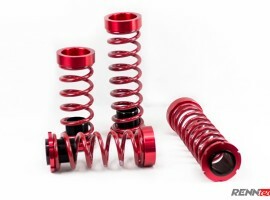 Category: GT S (2015-present). 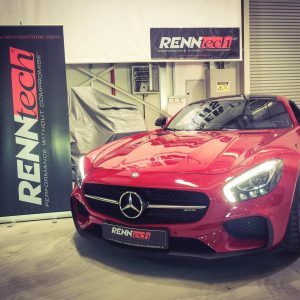 The Mercedes GT-S is the second Mercedes Benz vehicle fully developed by AMG, the company’s Affalterbach based performance division and long fabled engine builder. 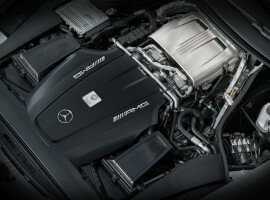 The resulting vehicle is nothing short of spectacular and the 4.0L V8 BiTurbo engine within is an incredible platform to build performance upon. 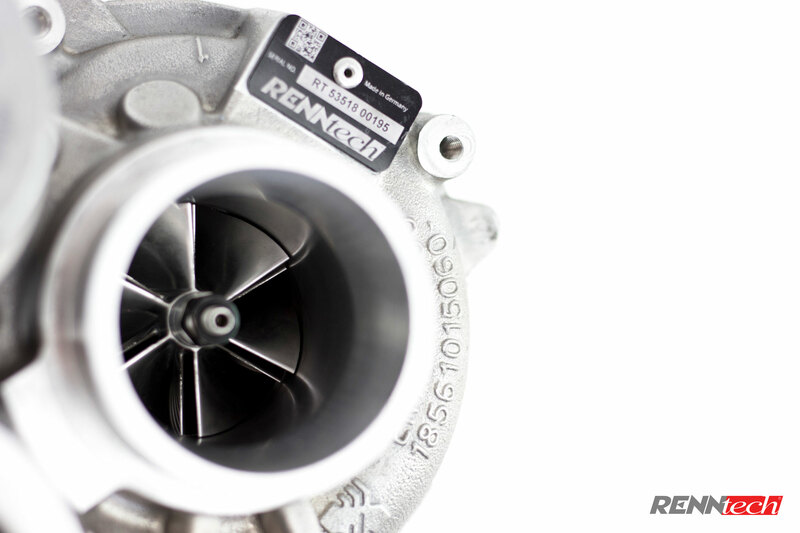 RENNtech lightweight forged billet turbo wheels feature a dramatically larger than stock impeller (inlet side) and an increase in the turbine trim (exhaust side). 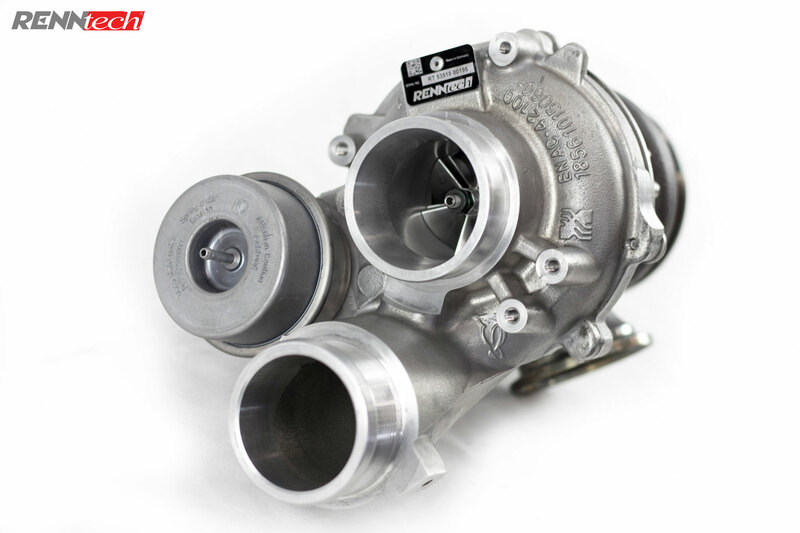 This combination of high quality, light weight components compensates for turbo lag despite being a functionally larger turbo. 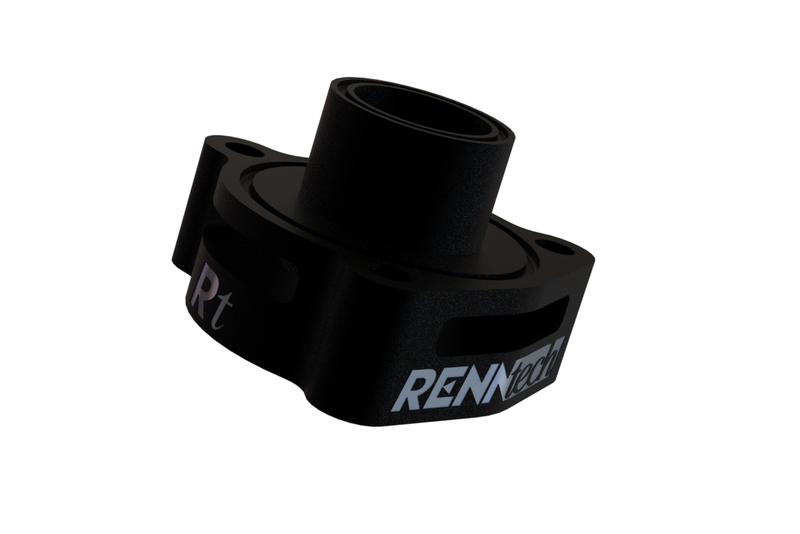 The cartridge supporting shaft is also both larger and stronger designed to handle the larger wheels and additional power. 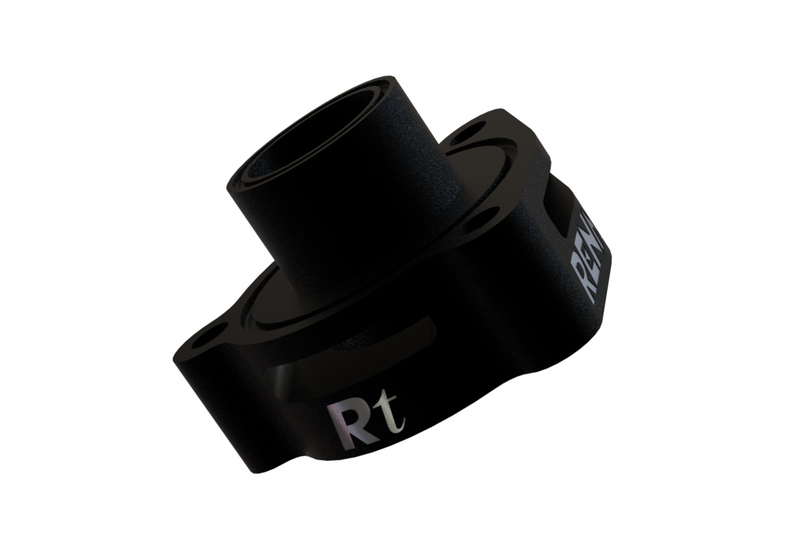 This entire cartridge is then fine balanced as a complete assembly to compensate for these increases. 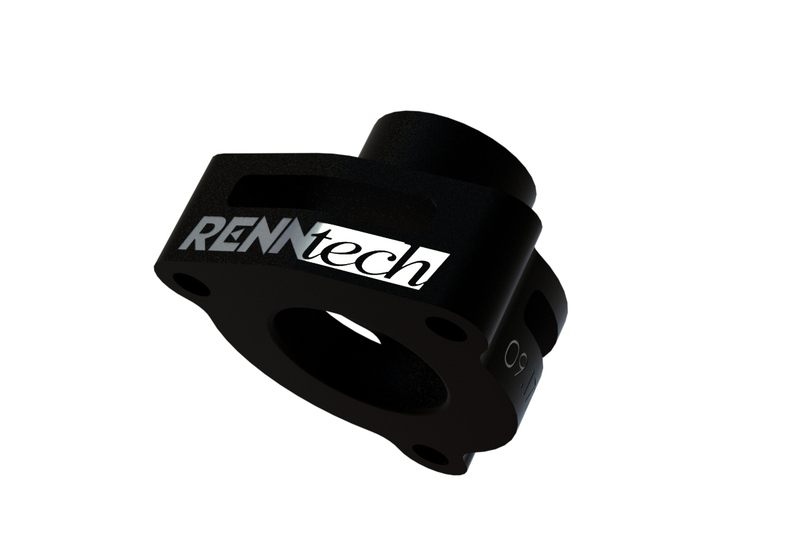 The impeller and turbine housings are then precision CNC machined and flow tested in-house to fit the larger internal cartridge. 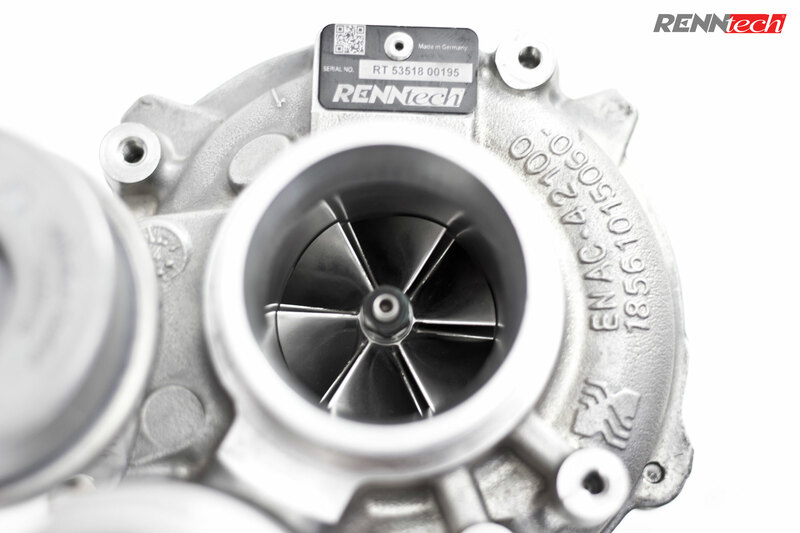 The end result is nothing short of spectacular with the RENNtech turbo package gaining up to 180 hp and 161 lb-ft.
More power isn’t the only performance benefit as our turbos spool quicker, offer a more responsive throttle and immediate power delivery thanks to a reduction in exhaust back pressure, rolling resistance, higher RPM’s and a lighter rotating mass. 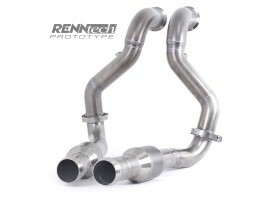 In addition, our turbo upgrade kit functions with the OEM oil and coolant lines. 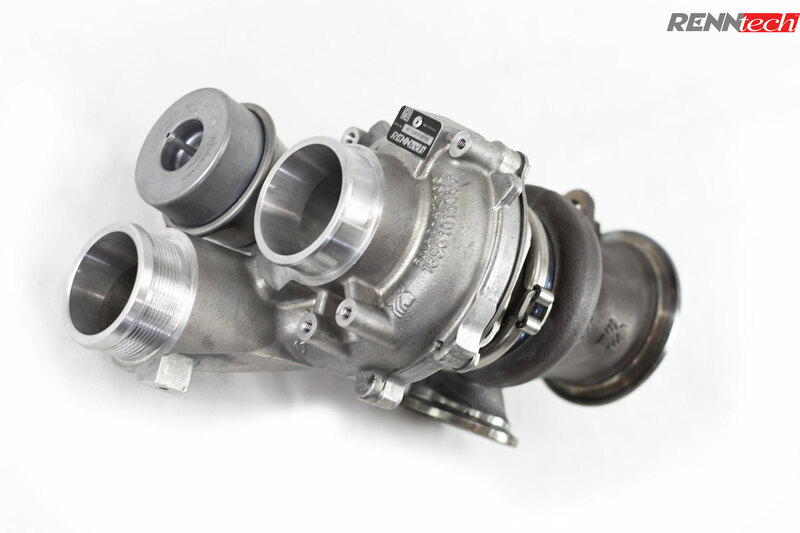 This isn’t just an OEM turbo charger with machined internals; but a dramatically larger, more powerful turbocharger that blows away anything else on the market! 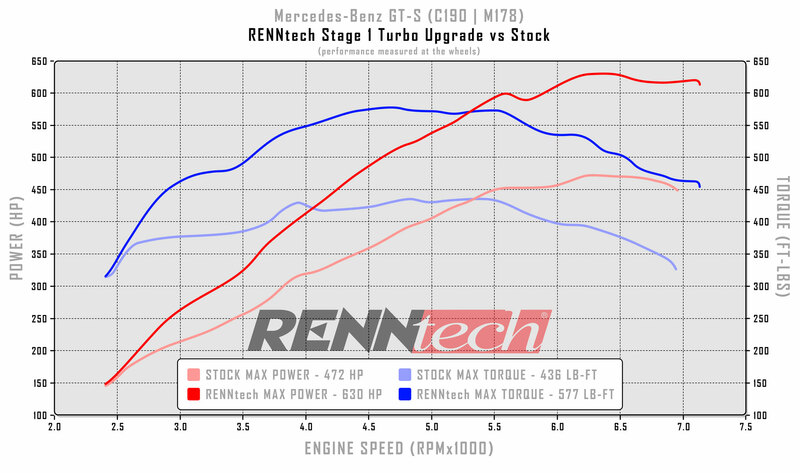 The RENNtech performance turbo upgrade is truly the ultimate upgrade for your AMG GT-S.
We have found the new M178 engine stock performance numbers vary from the baseline figures claimed by Mercedes Benz. 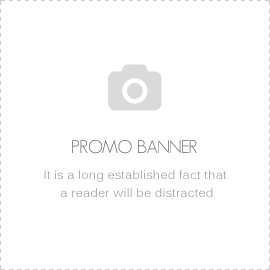 We typically see higher baseline numbers than claimed by the factory. Numbers will be dependent on conditions and fuel quality. 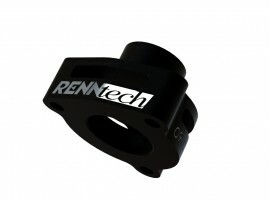 To reach the maximum power level, RENNtech downpipes, BOV adapter and high-flow air filters are required. Our numbers will be dependend on conditions and fuel quality.